Although it’s already over 15 years since the original release of C#, the language doesn’t feel that old. One reason being it has been updated on a regular basis. 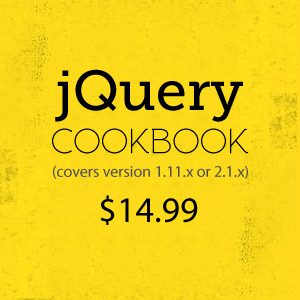 Every two or three years, a new version was released with additional language features. Since the release of C# 7.0 in the beginning of 2017, the cadence has further increased with minor language versions. Within a year’s time, three new minor language versions were released (C# 7.1, 7.2 and 7.3). Read more at C# 7.1, 7.2 and 7.3 - New Features (Updated). If we were to look at the code written for C# 1.0 in 2002, it would look much different from the code we write today. Most of the differences result from using language constructs which didn’t exist back then. However, along with language development, new classes were also added to the .NET framework which take advantage of the new language features. All of this makes the C# of today much more expressive and terser. 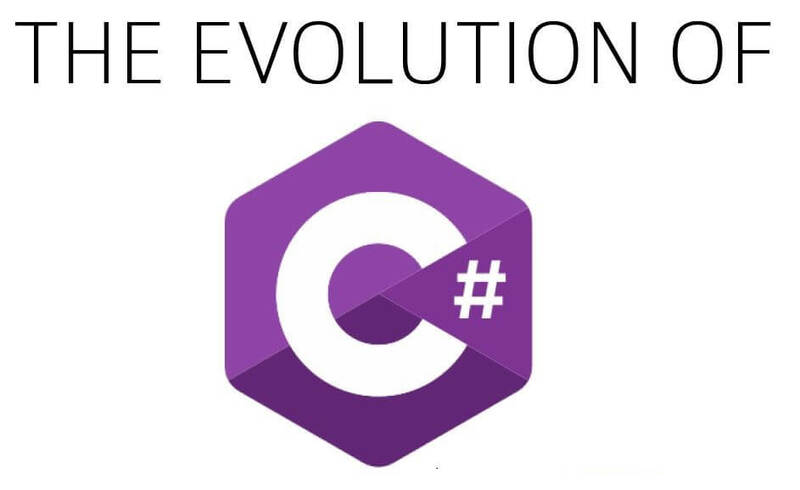 Let’s take a trip into history with an overview of the major versions of C#. For each version, we will inspect the most important changes and compare the code that could be written after its release, to the one that had to be written before. By the time we reach C# 1.0, we will hardly be able to recognize the code as C#. At the time of writing, the latest major language version is 7.0. With its release in 2017, it’s still recent, therefore its new features aren’t used often. Most of us are still very used to writing C# code without the advantages it brings. The case statements check for the type of the value in the weapon variable. In the same statement, I declare a new variable of the matching type which can be used in the corresponding block of code. The last part of the statement after the when keyword specifies an additional condition to further restrict code execution. In earlier versions of the language without all these features, the equivalent block of code would be much longer. (i) Out variables allow declaration of variables at the place where they are first used as out arguments of a method. Visual Studio 2015 and 2017 are using it for syntax highlighting, code navigation, refactoring and other code editing features. Many other editors, such as Visual Studio Code, Sublime Text, Emacs and others provide similar functionalities with the help of OmniSharp, a standalone set of tooling for C# designed to be integrated in code editors. Many third-party static code analyzers use the language services as their basis. These can be used inside Visual Studio, but also in the build process. Not to mention that having formatting pattern arguments outside the pattern makes it more likely to list them in the wrong order. To learn more about C# 6, you can read my article Upgrading Existing C# Code to C# 6.0 in the DotNetCurry (DNC) Magazine. Are you a .NET/C# developer looking for a resource to help build Rock Solid C# Concepts, as well give you a solid grasp of the latest in C# and .NET, and quickly! Then The Absolutely Awesome Book on C# and .NET is for you! Built around concepts, this concise 500 pages eBook available in PDF, ePub (iPad), Mobi (Kindle) will help you build a solid foundation in C# and .NET. Covers C# 6.0, C# 7.0, .NET Framework and .NET Core with chapters on .NET Standard and the upcoming C# 8.0. Click here to check the Table of Contents or Download Some Sample Chapters! Microsoft released C# 5.0 in 2012 and introduced a very important new language feature: async/await syntax for asynchronous calls. It made asynchronous programming much more accessible to everyone. The feature was accompanied by an extensive set of new asynchronous methods for input and output operations in .NET framework 4.5, which was released at the same time. Just in case you’re not familiar with the async and await keywords, keep in mind that the I/O call to ReadToEndAsync method is non-blocking. The await keyword releases the thread for other work until the file read completes asynchronously. Only then, the execution continues back on the same thread (most of the times). To learn more about async/await, check my article Asynchronous Programming in C# using Async Await – Best Practices in the DotNetCurry (DNC) Magazine. Notice, how I must manually compose the task continuation using the Task.ContinueWith method. I also can’t use the using statement anymore to close the stream because without the await keyword to pause the execution of the method, the stream could be closed before the asynchronous reading was complete. Although this allowed the calling thread (usually the main thread or the UI thread) to do other work for the duration of the I/O operation, another thread from the thread pool was still blocked during that time. This code only seems asynchronous but is still synchronous in its core. There was only a single asynchronous method available for reading files and it only allowed us to read the bytes from a file in chunks, therefore we are decoding the text ourselves. Also, the above code reads the whole file at once which doesn’t scale well for large files. And we’re still using the FromAsync helper method which was only introduced in .NET framework 4 along with the Task class itself. Before that, we were stuck with using the asynchronous programming model (APM) pattern directly everywhere in our code, having to call the BeginOperation and EndOperation method pairs for each asynchronous operation. No wonder, asynchronous I/O was rarely used before C# 5.0. In 2010, C# 4.0 was released. It was focused on dynamic binding to make interoperability with COM and dynamic languages simpler. Since Microsoft Office and many other large applications can now be extended by using the .NET framework directly without depending on COM interoperability, we see little use of dynamic binding in most of C# code today. To learn more about dynamic binding, check my article Dynamic Binding in C# in the DNC Magazine. Extension methods appear to be called as members of a type although they are defined elsewhere. Lambda expressions provide shorter syntax for anonymous methods. Anonymous types are ad-hoc types which don’t have to be defined in advance. Without auto-implemented properties I must manually declare the backing fields, as well as the trivial getters and setters for each property. The constructor for setting the property values is required because there was no initializer syntax before C# 3.0. We’ve made our way to the year 2005 when C# 2.0 was released. Many consider this the first version of the language mature enough to be used in real projects. It introduced many features which we can’t live without today, but the most important and impactful one of them was certainly support for generics. Although the code might seem similar, there’s an important difference: this code is not type safe. I could easily add values of other types to the collection, not only int. Also, notice how I cast the value I retrieve from the collection before using it. I must do that because it is typed as object inside the collection. However, the IntList collection can only be used for storing int. I must implement a different strongly typed collection if I want to store values of a different type. And the resulting code is still significantly less performant for value types because they are boxed to objects before being stored in the collection and unboxed when retrieved. C# has been the primary language for .NET development since version 1.0, but it has come a long way since then. Thanks to the features that were added to it version by version, it’s staying up-to-date with new trends in the programming world and is still a good alternative to newer languages which have appeared in the meantime. Occasionally, it even manages to start a new trend as it did with the async and await keywords, which have later been adopted by other languages. With support for nullable reference types and many other new features promised for C# 8.0, there’s no fear that the language will stop evolving.